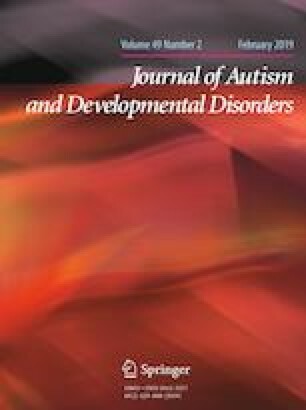 Subclinical traits of autism were measured in children with somatic symptom disorder (SSD, n = 28) and compared with age-matched controls (n = 26) using the Autism Spectrum Quotient (AQ) children’s version. The KINDLR quality of life questionnaire was used to assess functional disability. Although there was no significant group difference in total traits of autism, SSD group had significantly greater difficulty in attention switching domain. Logistic regression analysis confirmed attention switching and age were associated with increased likelihood of SSD. In SSD group, difficulty in attention switching significantly negatively correlated with total, family, and friends quality of life scores. In conclusion, assessment and treatment targeting difficulties in attention switching could be useful when dealing with children with SSD. The online version of this article ( https://doi.org/10.1007/s10803-018-3751-2) contains supplementary material, which is available to authorized users. We are grateful to Dr Seigo Shiga, Masato Kantake, Takahiro Kudo, and Tamiko Usui who contributed to data collection. The authors would like to thank Dr Shuko Nojiri for her guidance regarding the statistical analysis. KH, MH, and KT developed the study concept. KH and MH collected the data. KH performed the analyses. KH drafted the paper, MH revised the paper and KT and TS provided critical advice. All authors approved the final version of the paper for submission. The authors have no conflict of interest relevant to this article to disclose.